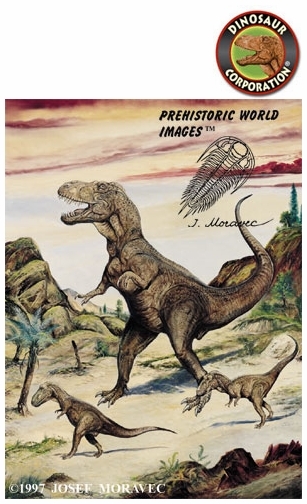 Home | DINOSAUR PAINTINGS | Tyrannosaurus rex with Babies | Tyrannosaurus rex, Art Print, 8.5" x 11"
Tyrannosaurus rex - Cretaceous period. Printed on premium glossy photo paper. ▪ Trex, Art Picture, 13" x 19"